I've always had a fascination with snow globes. Always. There is just something so magical about them. 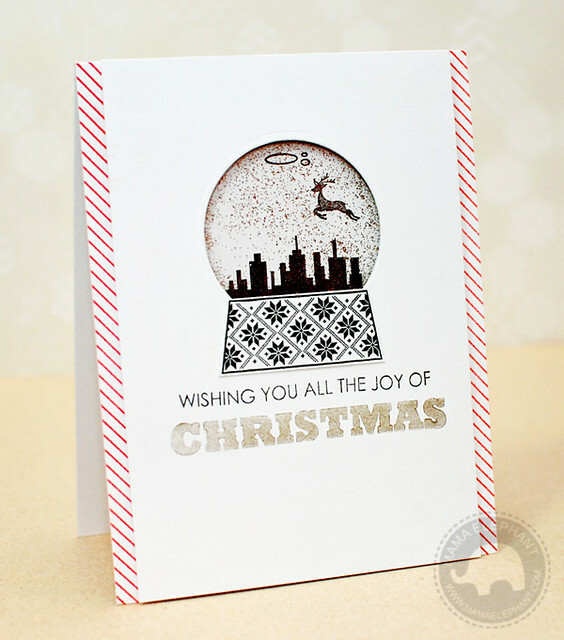 We knew that our first Holiday design had to be a snow globe set! We designed it so that it was easy to use and versatile. One thing to note, the stamp of the globe is hollow in the middle. I don't know about you, but I always get ink in the middle of large stamps. Not happening anymore, and it left space for more designs! Believe in Magic is filled with simple but eye catching images. Nothing too crazy, because we were going for a classic, vintage feel - but in a modern way. We included a two skylines and a flourish tree. 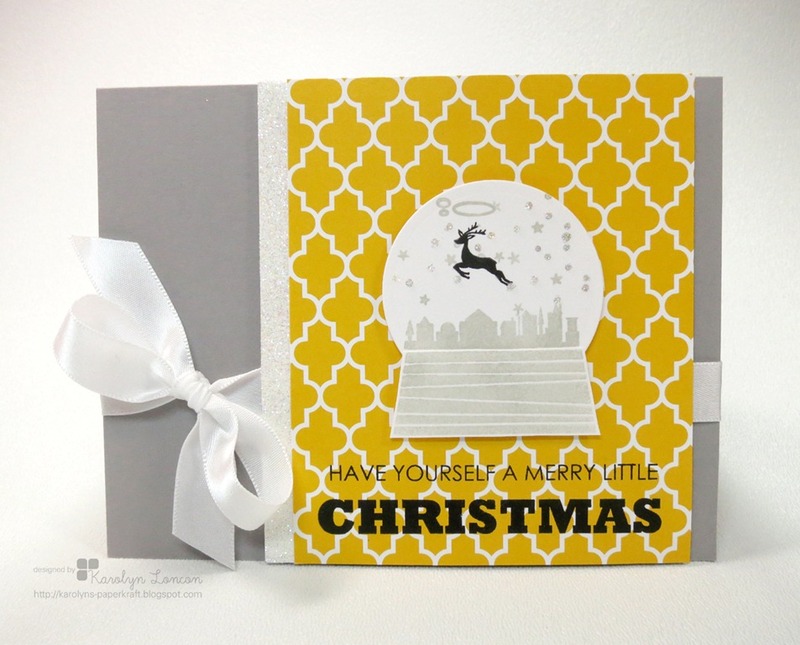 Decorate your scene with flurries, a moon, or the iconic reindeer! My favorite is the bubbles that mimic the look of water inside the globe. I made a shaker card. So. Much. Fun. 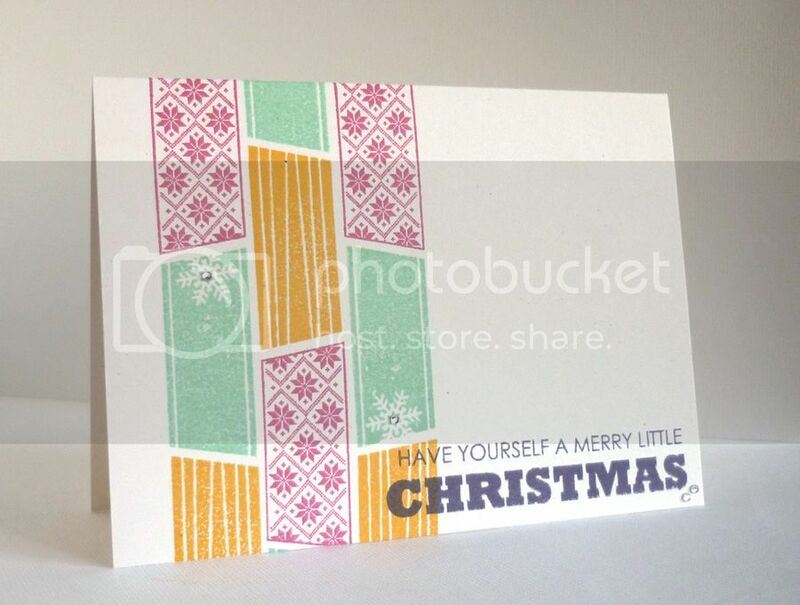 The sides of the card were stamped with the diagonal border from Basic Borders. 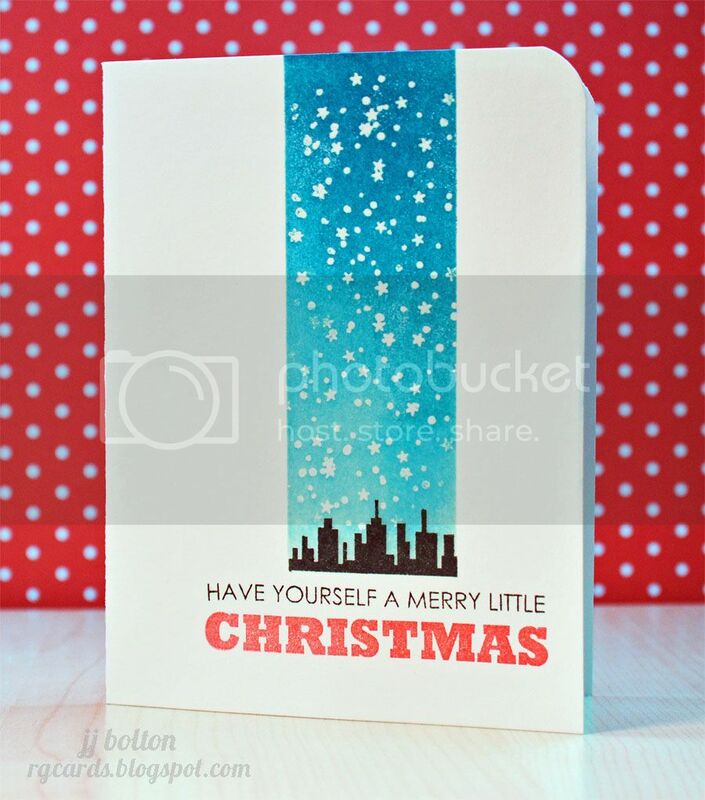 This card is fairly simple to create. First you take a white piece of cardstock and die cut a circle. Then you kind of line up the papers and stamp the images on the card base. The base of the snow globe was stamped on a separate piece of cardstock, cut out, then adhered on. 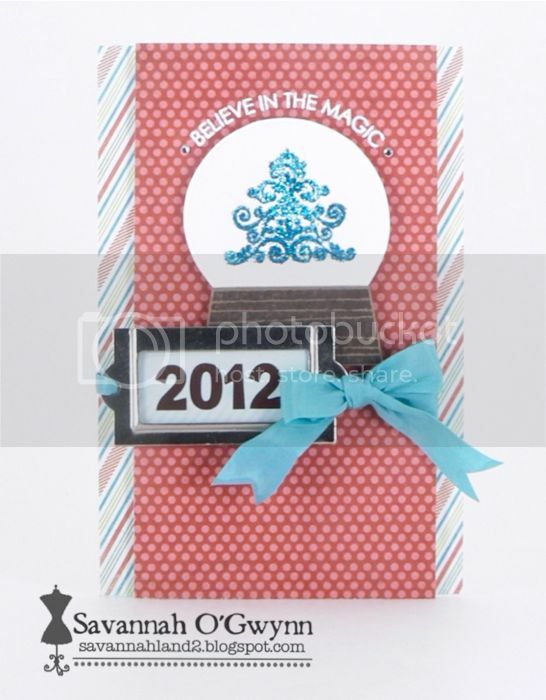 I love that you can use your existing die collections to create this simple card! To make the actual shaker card work, you cut a piece of acetate and prop it up with 3d foam stickers and fill with your choice of glitters. Make sure you seal it all the way around the perimeter of the circle, don't want any glitter falling out! Here's a better look. I filled the shaker with gold glitter. Let's see what our Design Team came up with! wow these are all so fabulous.. Wow!! Just wow!!! I am blown away by the beautiful projects. And your shaker snow love card is to die for!!!!! Wow! Love love love!!! Love that shaker card Kryssi! All of the girls projects are fantastic! This is such a cool stamp set! 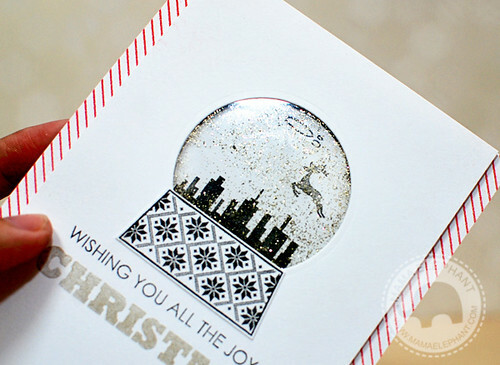 Love that you can customize the snowglobe and the skyline images are a fun and clever idea! I so love this snowglobe!! Fabulous projects from the team!! Awesome stamp designs! The DT really show off the images so beautifully! I really love the versatility of this stamp set! So many great ideas from your DT...off to check them out now! I already love snow globes but wow on how cute and clever that set is. I LOVE this stamp set! It has so many possibilities! OHHHHHHHH! This is such a great post! All beautiful creations! Each day I am more and more I pressed with this lovely line of stamps and the wonderful designs you come up with. I cannot wait until I can afford to own some of these beautiful stamps for myself. Thanks for the eye candy and the inspiration each day in my inbox!